A lot of criticism is out there about individual who spend time playing video games. Certainly a sedentary lifestyle is not a healthy one, but there is more value to many games that button mashing. Unlike State of Emergency, Mortal Kombat and Street Fighter, most games have some sort of purpose or meaningful storytelling element. First to highlight the purposeful concept, each genre of games serves as a simulation or escape from the ordinary. Most sports games allow individuals to either experience the success of the real athletes or play out a season to their liking. Games like LittleBigPlanet allow anyone to take their imagination and make it appear on-screen, tapping into one’s creativity. The craze involving rhythm games may not have been perfect translations of real instruments, but Guitar Hero encouraged a large portion of young people to take up learning guitar and some instruments (mainly the drums) actually simulated the real thing. Even most shooting games and action/adventure games include deep, engaging stories that let the player escape into an entirely new universe. With the more recent additions by Sony, Nintendo and Microsoft, all of the major consoles include motion gaming that allows players to move with the game, including hitting a tennis ball or swinging a sword. 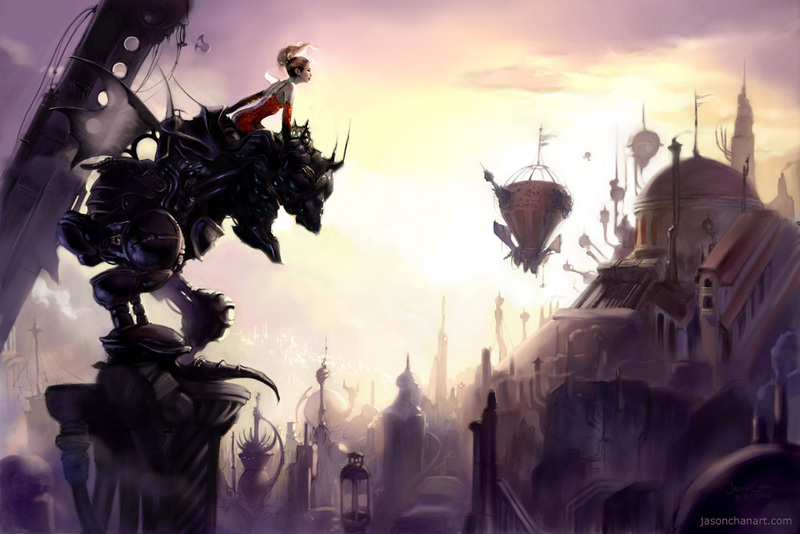 Final Fantasy VI: Suffering from a bout of amnesia, a young woman named Terra is saved by some of the local residents of the mountain town of Narshe and a young thief name Locke. With Emperor Gestahl’s troops hot on their trail, Locke takes Terra to meet his friend, King Edgar. When Edgar and Locke learn about Terra’s mysterious magical abilities, they go on a journey to discover the mystery of her powers and her history. As the story unfolds, the band of misfits continues to grow and they learn about a devious mage named Kefka who is working with Gestahl to weaponize the magic in mysterious beings called Espers. The further that Kefka pursues his magical dominance, the closer he pushes the world into apocalyptic destruction. The best aspects of this game are the depth of the individual character stories and the cliffhanger-like element at the midpoint of the game. The main character, Terra, starts with a bout of amnesia but discovers her connection with the Espers. She dominates the first half of the game as the heroes seek to understand the influence of magic in the growing imperial threat. Edgar and his brother Sabin are brothers with diverging lives. On a gamble, they flipped a coin to determine who would rule the land, but Sabin’s loss led him to flee and life a free, peaceful life. The arrival of Locke and Terra served as an opportunity to reconnect and reestablish their family bond. Even a minor character like Gau has his own story. As a wild child living off of the land, he was abandoned by his father. Later in the story, he gets his chance to reconnect but ultimately cannot live up to his father’s expectations. The cliffhanger element comes up when Kefka successfully is able to access the statues that hold magic in check and have the ability to reshape the world if rearranged. While Terra and the others seem to reach him in time, he manages to double-cross Gestahl and reshape the entire face of the world. While the heroes make it back to their airship, the catastrophic changes cause it to crash and scatter the heroes across the globe. When Celes wakes up, she is stranded on a small island with Cid as her only companion. Living in quiet existence has been detrimental to Cid’s health, forcing Celes to find a way to get off the island and search for other survivors. Gradually, she comes across her friends and the group deems it necessary to find a way to get to Kefka and neutralize his power. Final Fantasy VII: A former member of the Shinra Corporation, Cloud Strife has defected and joined a group called Avalanche. Along with Barrett and Tifa, they eventually agree on a need to bring down Shinra in a Robin Hood-like way. After one of their missions, Cloud meets a quiet florist named Aeris, who is actually a target for Shinra’s experiments. When their efforts lead them deep into Shinra headquarters, they learn more about the corporation’s plot to eliminate the slums and their residents. In the wake of their battle, Cloud and the Avalanche members are able to escape the pursuit of Shinra and recollect themselves in the town of Kalm. As the group seeks to understand the legendary SOLDIER Sephiroth’s plans, they discover more about Cloud’s mysterious past and Aeris’s importance to Shinra and the Jenova project. The interesting element of this game is the twists and turns of the story involving Cloud and Sephiroth. Cloud originally believes that he was ex-SOLDIER but also recognizes how his memory is fuzzy. 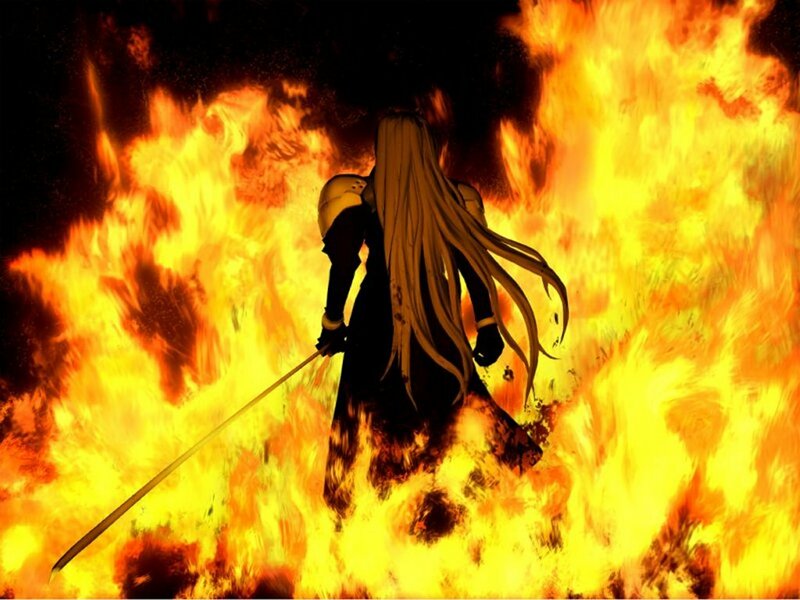 He remembers his mother and the fire in his hometown, as well as his time in SOLDIER with Sephiroth. As Avalanche continues their quest to understand both Shinra’s and Sephiroth’s plans, the story unfolds to reveal that Cloud’s memories were actually the experiences of a close friend, Zack. Cloud never made it into SOLDIER and simply served as a Shinra guard. As they uncover his story, Aeris falls victim to Sephiroth’s destructive tendency, which pushes Cloud to seek vengeance against the seemingly indestructible villain. Final Fantasy X: Tidus, a star in the sport of blitzball, lives in a city called Zanarkand. When a massive evil creature named Sin attacks the city, Tidus is consumed by the beast but wakes up just off of an island called Besaid. Meeting up with three guardians (Kimahri, Lulu and Wakka) and their summoner (Yuna), he slowly discovers that he has passed through time and wound up in a world which seemed foreign to him. In an attempt to learn about his situation and adapt to his new existence, he chooses to volunteer himself to join Yuna on her quest. Tidus learns that Yuna’s quest will take her throughout the world to gather the assistance of creatures called aeons to battle and defeat Sin. Meanwhile, a part-human, part-Guado prince named Seymour has his eyes set on Yuna to become his bride, but seems to have ulterior desires for the future of the world. Similar to FFVI, the character depth is the most intriguing part of the game. Tidus’s arrival in Besaid is believed to be his travel through time, but his reality is that he perished during the Sin attack in Zanarkand. His existence is being maintained by the Fayths, beings that provide the ability to access the aeons. The Fayths hope to support Tidus and his crew in the destruction of Sin, but their victory will lead to his existence fading into memory. Auron, who serves as Tidus’s guide, existed back in Tidus’s time but actually fell to a similar fate and is only a corporal memory attempting to support the defeat of Sin. Yuna, daughter of the great summoner Braska, is trying to follow in his footsteps and bring calm to the land through the defeat of Sin. She also understands the truth about the end of her journey, which involves sacrificing her life to the final aeon to subdue Sin. Wakka, a blitzball player like Tidus, has been unable to succeed at the sport but found purpose through his relationship with Yuna. Lulu, who lost her love to the war against Sin, seeks to avenge his death. Even the villain Seymour has a deep story, involving the marriage of a Guado with his human mother. He became enraged by a difficult childhood and believed that destroying the world would help people get their release from misery and suffering. To accomplish this, he looks to defeat and become Sin itself to accomplish his goal. Refocusing on Tidus, his subplot involves the abusive relationship of his father, who was also a blitzball player in his time. Jecht was often found drunk and went missing during a training at sea. Though he was transported to the future, he too had died and his corporal existence landed him in Braska’s journey as a guardian. While Yuna had the best impressions of Jecht and Auron periodically defended him, Tidus rejected any positive change based on his childhood memories. When Tidus learns that Jecht sacrificed himself to defeat Sin and had become the creature, his hate intensified. The further Tidus traveled on the journey, the more he began to understand Jecht’s situation and hope he could find a way to release him from his misery as the creature. 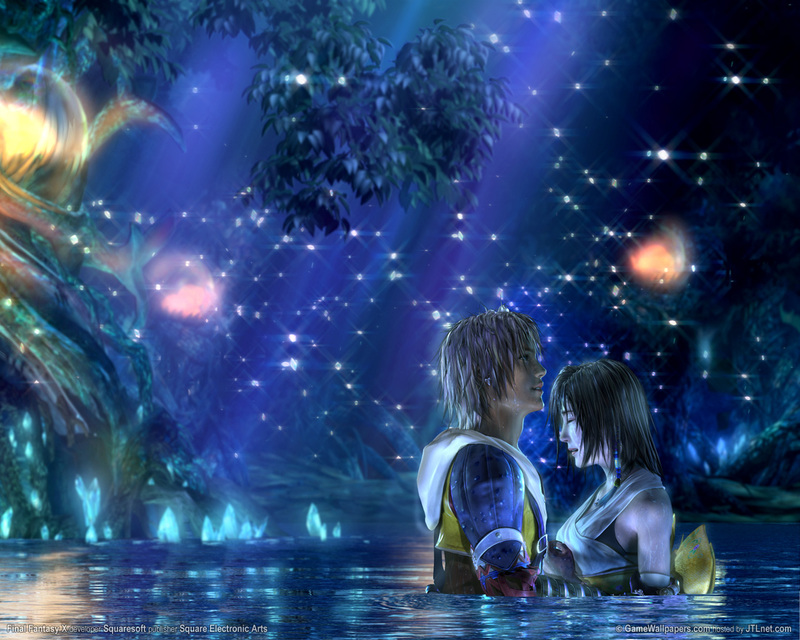 FFX also became the first game to lead into a sequel, which focused on Yuna’s quest to find what happened to Tidus. She stays connected with Rikku and adds in a new character, Payne, on her journey discover a way to resurrect her lost love. The chaos of Seymour’s and Yu Yevon’s plots from FFX left the world divided in their beliefs about progressing forward. The three groups (New Yevon, Youth League and Machine Faction) now struggle to rise as the new leadership for Spira. While video games are not for everyone, it is difficult to ignore how many people become engrossed with the complexity of the stories.